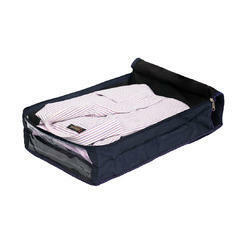 We are reckoned manufacturer and supplier of supreme quality Suit-length Boxes. The entire range of boxes is manufactured from the quality material as per the market norms. Along with that, these boxes are available in numerous sizes as per the variegated needs of customers. The Garment Box with Metal Hanging Bar can help you move or store hanging clothes. It features hand access holes for easy carrying. It is made from 100% recycled materials. we are providing a wide range of Saree Packing Box to our reputed clients at very reasonable rates. As an illustrious corporation of the industry, we are eagerly immersed in presenting a broad gamut of Garments Packaging Box to our patrons. We manufacture Garments Corrugated Box of all sizes and specifications for our customers.